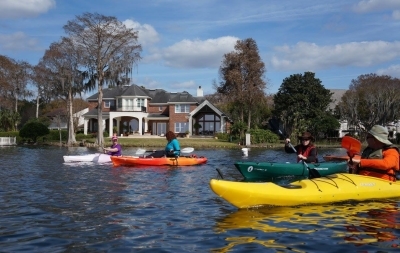 This paddling tour offers a 3-4 hour-long, guided paddle through four of the seven lakes including four, narrow garden-lined canals on the beautiful Winter Park chain of lakes. 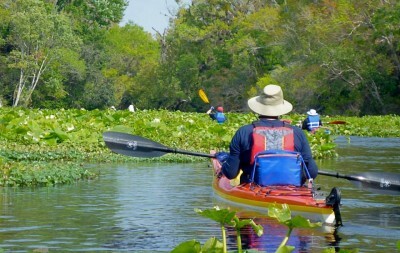 On any given tour, guests may observe great Blue Herons swooping waterside to snag a fish or a lazy alligator languishing on a nearby bank. 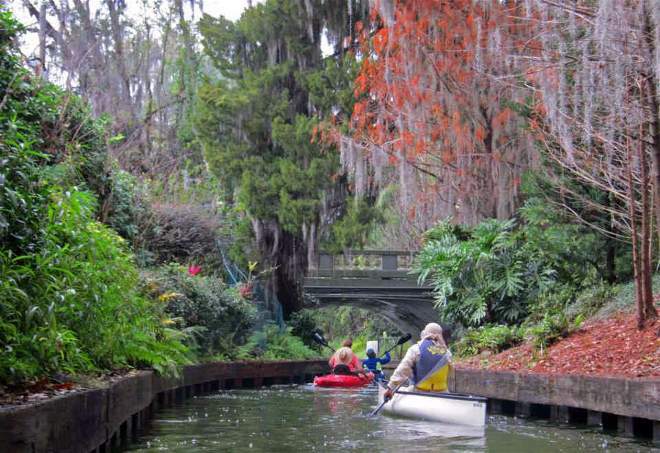 Every tour, however, guarantees plenty of swaying palms, towering cypress trees, lush ferns, and a variety of flourishing sub-tropical flowers. This scenic cruise features breathtaking views of opulent private homes and exquisite estates sprawling along the shores. As evening approaches, find your way to Kraft Azalea Gardens. With romantic flowered paths and a beautiful lakeside view, this is the place for lovers. Before returning to Dinky dock, we will stop at a small private island to enjoy a spread of cheeses, fruits, veggies, crackers, cold cuts, chocolates and of course a possible swim to cool off. 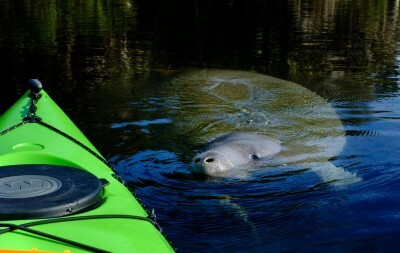 Many of Central Florida’s hidden natural wonders are best experienced by kayak or canoe. 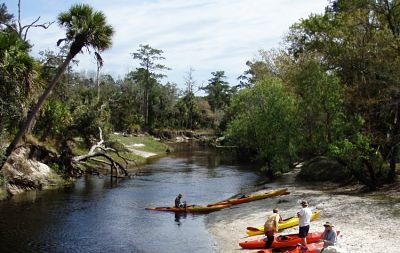 Just beyond the hustle and bustle of life in the Orlando area lay crystal clear springs, tropical swamps teeming with life, and gorgeous undisturbed wild and scenic rivers... Adventures in Florida specializes in bringing you to those places! 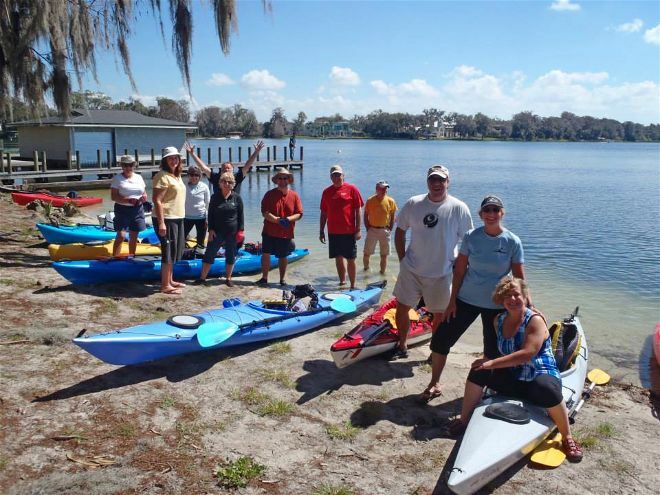 Paddling with our skilled tour guides ensures you will have a safe, entertaining, and informative adventure. 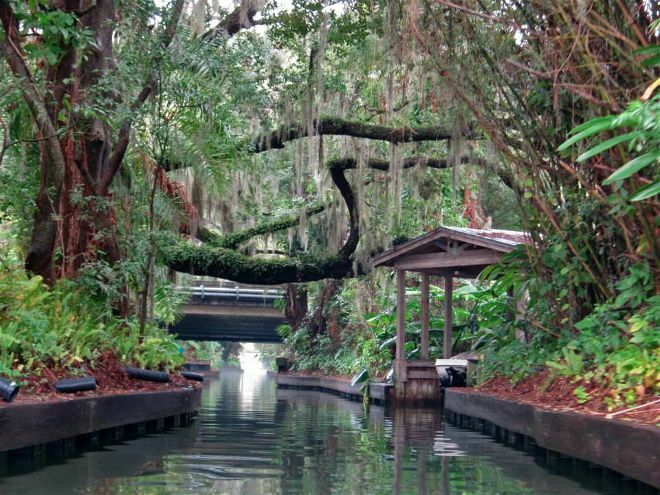 Whether you're visiting Orlando or you’re a local, come experience the REAL Florida with us! 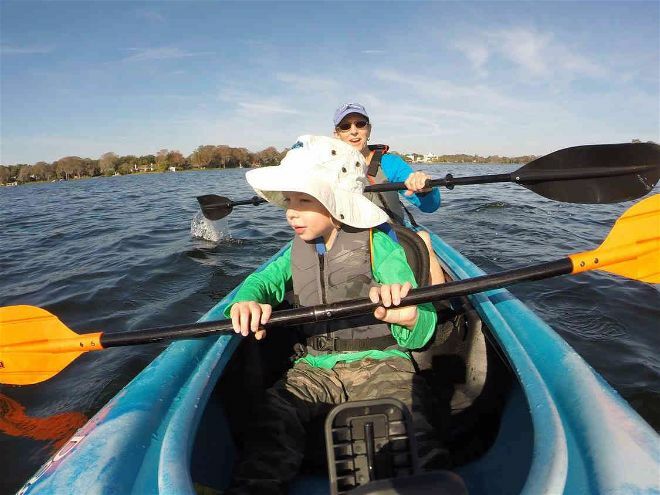 Kayak day tours require no kayaking experience. 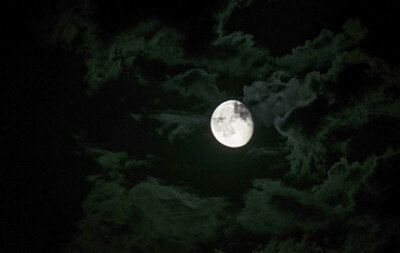 Private tours are available. 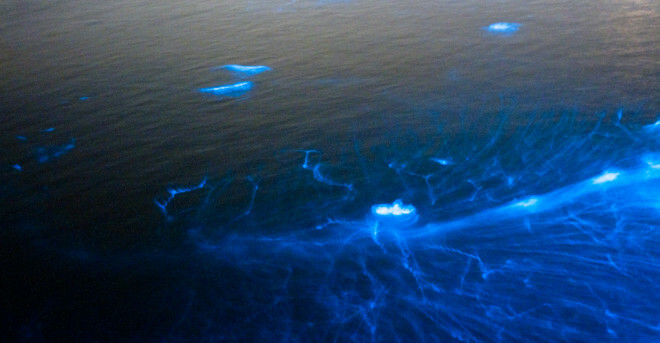 For those seeking more adventure than can be had in a day, be sure to check out our Extended Expeditions.